British Airways economy class passengers on short-haul flights will soon have to pay for sandwiches supplied by Marks & Spencer if they want a meal in mid-air. The airline has confirmed it will scrap free food and drink on its short-haul flights and instead offer passengers the opportunity to purchase snacks and sandwiches provided by Marks & Spencer. Previously, economy class passengers could expect a small snack, such as a bacon sandwich, and a complimentary drink. Passengers in Club Europe – the airline’s short-haul business class service – will continue to enjoy a complimentary menu, which is being improved and revamped. The decision to jettison free food from economy class comes six months after Alex Cruz took over as British Airways chief executive, having previously run its low-cost Spanish sister airline Vueling. Cruz said the change was a response to passengers clamouring for greater choice of upmarket snacks. BA released a sample menu comparing its prices favourably with the prices charged by easyJet, Ryanair and Norwegian. A sample meal of the Aberdeen Angus bloomer, a packet of crisps and a bottle of water will cost £7.55, rising to £10.25 if the water is replaced with a quarter bottle of wine. The changes will be rolled out on services in and out of Heathrow and Gatwick from January 11 next year, with Stansted and London City to follow by the summer. Cash will not be accepted on flights, with payment only possible via credit or debit card. 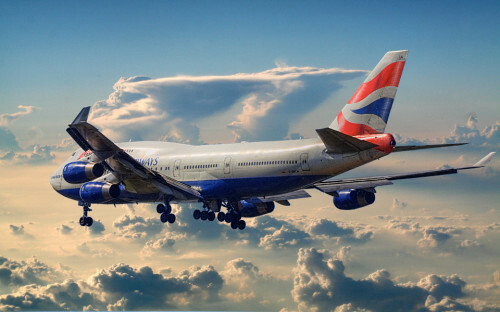 However, cabin crew will accept BA’s frequent flier points, Avios. With these recent news, there is hardly any difference between classic airlines such as British Airways or Air France and their low-cost competitors such as Easyjet or Ryanair anymore. But you will still pay approximately €100 more for flying with the classic “old school” airlines, getting hardly any benefit in return for your cash. « HIT! Cheap flights to Sri Lanka and Maldives for only €265!